It is quite difficult for GPS manufacturers to innovate these days. The main challenge is to cram in as many advanced technologies as possible while making the price affordable. It is the usually the internal hardware that makes these dedicated navigators more appealing than smartphones which have far more features. Smartphones can do all sorts of things from loading various third-party map apps to taking pictures using the camera on the back. 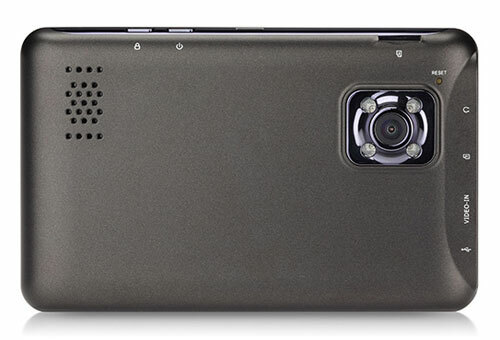 The Magellan RoadMate 6230-LM has a camera on the back too but it isn’t exactly taking the smartphone camera route. This particular camera is actually a dashcam and it is one of the main innovations of this Magellan GPS device. From the front, the Magellan RoadMate 6230-LM looks like a generic GPS device with a standard (not too thin or thick) bezel 5-inch display with a pedestrian WVGA resolution. The touchscreen is resistive so you don’t get the same touch responsiveness as a modern smartphone but at least it is sunlight-readable and you can switch between day and night views for the best visibility. Like Magellan’s other recent GPS products, you won’t find the Magellan logo on the front or back of the device. It has a plastic feel and weighs 6.4 ounces so there are no real surprises given its midrange pricing. The back of the device features the dashcam along with some labels that indicate the available buttons and connection ports. It has the usual microSD card slot, audio out and USB ports along with a few unique ones including a second microSD slot for the DVR function and a video input. 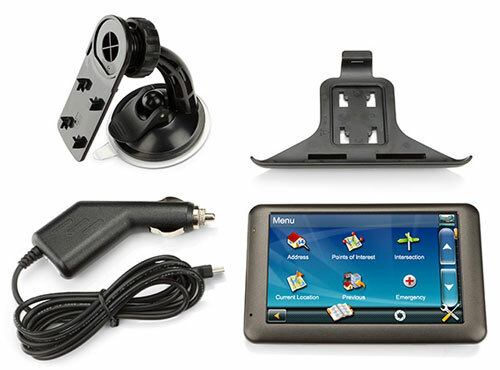 A car mount is naturally included in the package and it is pretty easy to install. You just take the plastic holder and slide it to the back of the device and then attach the suction cup mount to the holder. Both of these pieces lock in place and you can adjust the arm to your liking. The built-in dashcam is the main attraction of the Magellan RoadMate 6230-LM and it is capable of recording 720p HD video. With its 120-degree wide-angle lens, you should be able to capture footage of the entire street no matter where you mount the RoadMate 6230-LM. This feature can be conveniently accessed from the main menu by tapping the camera icon although there is also an option to automatically start recording when you power on the device. The Auto Light option is also available when you need to record in low light conditions. The dashcam is great for capturing sudden events like vehicle collisions and accidents. There is even a G-shock sensor that can detect impacts which are crucial to recording these incidents. Just make sure you have a high-capacity microSD card so you can capture lengthy footage. When the microSD card runs out of space, the recording will continue but older footage will be overwritten. Many of the familiar Magellan elements are present in the Magellan RoadMate 6230-LM including the OneTouch favorites menu which continues to serve new GPS users quite well as it is easy to add favorite destinations and recent searches. This menu can be accessed from just about anywhere so when configured properly, you shouldn’t have to worry about sifting through menus too much. When you do need to enter a new destination, you can do it pretty quickly with the QuickSpell feature. As you type your destination using the onscreen keyboard, the device will auto complete the rest of the destination and provide suggestions. The RoadMate 6230-LM comes with over 7 million points of interest and has preloaded maps in the US, Canada and Puerto Rico areas. Magellan provides 4 free map updates every year for the life of your device and no subscription is required. 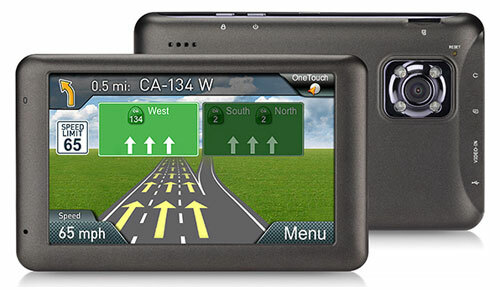 This makes this GPS device a pretty exceptional navigator for planning a trip consisting of multiple routes. You may customize the route by prioritizing the shortest distance possible or the fastest time it takes to get there. If you are not a fan of freeways, you can also have the device generate a route that avoids as many freeways as possible. If you ever encounter a freeway, you can use the junction view to see the freeway signs as well as indicators that point you to the right lane so you won’t miss that key exit. While you are driving, you will get text-to-speech cues so you can keep your eyes on the road without missing any turns. The Magellan RoadMate 6230-LM is pretty clever too as it can mention nearby landmarks as reference points for navigation. The PhantomALERT service can even tell you if there are speed cameras or red lights up ahead. While this device lacks real-time traffic features, you can still use the SmartDetour feature to come up with a better route if heavy traffic is expected. Magellan RoadMate devices were never really trendsetters in terms of overall performance and responsiveness but the Magellan RoadMate 6230-LM is a pretty attractive purchase as it is priced under $230 and comes with an adequate set of GPS features including that very useful dashcam. It is a great deal considering the fact that separate dashcams go for about $50.